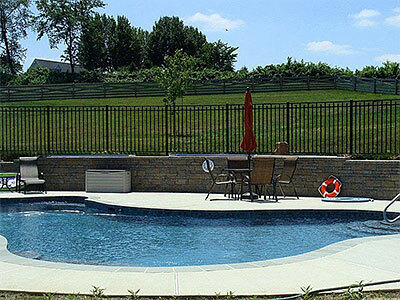 We offer custom design and installation of vinyl, aluminum, pressure treated, cedar, and chain link fences. We use only the highest quality, 100% virgin vinyl, products in the industry. 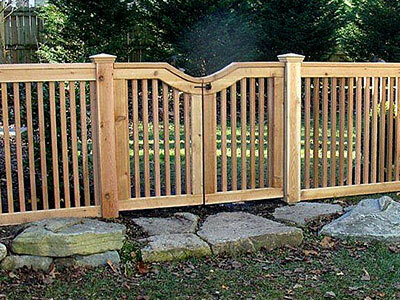 We fabricate our fences to custom fit your yard using routed rails and posts. No glued sections or unsightly brackets. We back our products with one of the best lifetime warranty in the industry. Call for details. Find what you were looking for? Take a look at our process to get an idea of what you can expect, then stop by our Veteran's Highway location or request a quote online to get started! We understand that NOT all fencing is created equal. 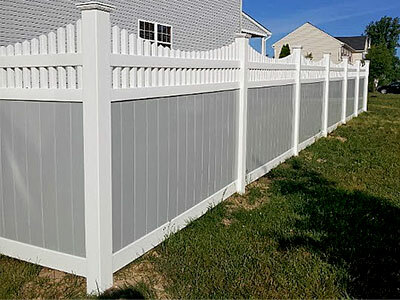 When it comes to vinyl fencing, it should not only be functional, but should also reflect your personality and blend naturally with your surroundings. The savvy consumer will quickly realize the cost effectiveness of a new vinyl fence. Vinyl fencing requires no painting or sealing and will continue to look good in the years to come. The many styles will beautify your landscape while adding long term value to your home. We take time to listen, educate and help you make choices that best fit your house, lifestyle and budget! Check out our fencing gallery for more! Get the elegant looks of ornamental aluminum iron fencing, with a powder coated finish guaranteed to last years without chipping or peeling. 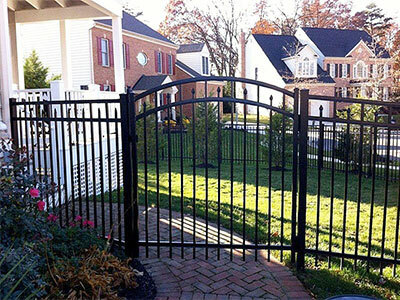 Ornamental fencing provides safety and security with a classic style. Available in a wide variety of grades, styles, colors, and heights - Alumi-Guard’s Armor Guard™ products will complement a structure’s architecture and landscape design while providing safety, boundary definition, and security. We carry 3 different pool code styles! Fence & Deck Connection goes to great lengths to provide our customers with premium quality lumber for our custom built wood fences. 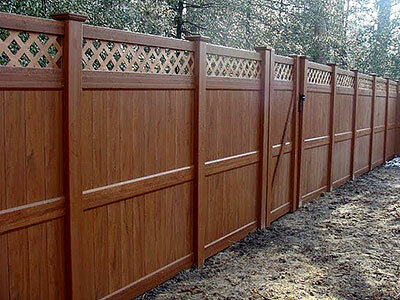 We are one of the few companies to provide a premium select fence board. We offer a choice of either pressure treated pine or western red cedar. Our lifetime structural warranty assures you that we will stand behind our work. MHIC #45780 | © 2019 Fence Connection, Inc. Fence Connection, Inc. Rated 4.8 / 5 based on 45 reviews. Read our reviews on Google.